We are offering Steam Shower Room to our clients. · Multi flow Hand Shower. · Water Diverter Control with Hot/Cold Mixer. · Fancy Back Blue Light. 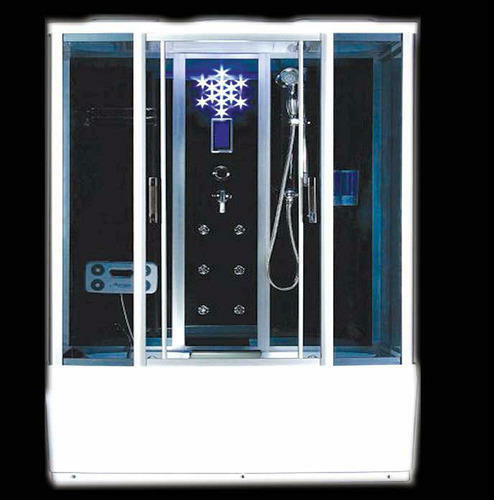 · Intelligent Steam Bath with time & temperature controlled. · Anti Scaling Adjustable Body Massage Power Jet. · Automatic Shutdown Safety Protection against high current leakage. · Dry Run Protection for Steam System.
. Earth leakage circuit breaker.